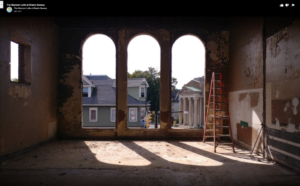 It’s a grand and beautiful project transforming the old theater in the heart of South Buffalo. We have every trade imaginable on-site deconstructing and reconstructing and making tangled messes that belong to nobody. We are hiring for a General Laborer to help maintain and clean and do the stuff that needs doing. We start at 7am sharp and work to 3pm. Monday through Friday. You’ll need steel toe boots and a positive attitude!